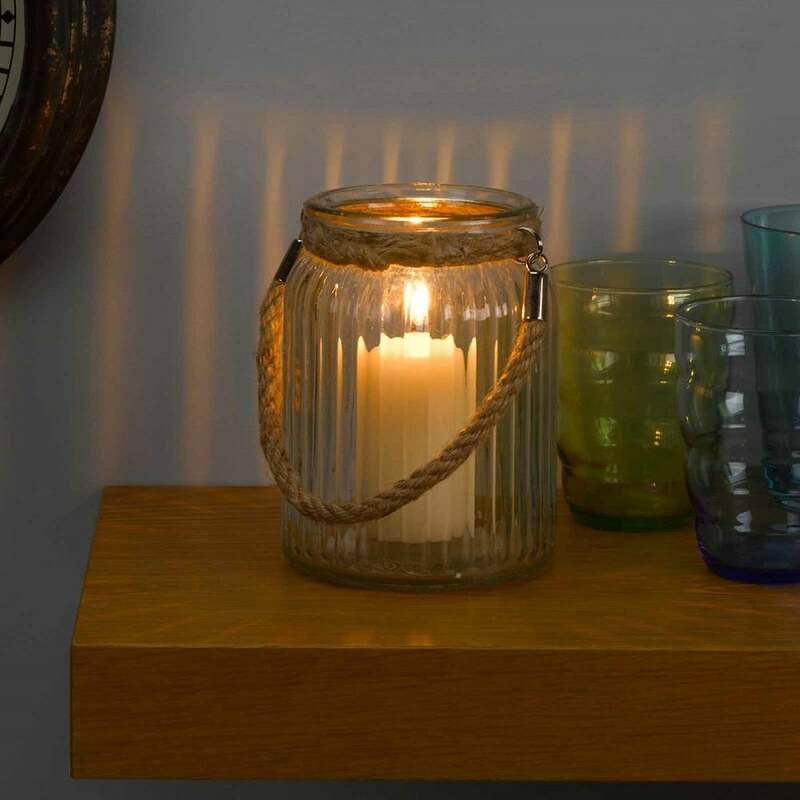 This simple yet elegantly designed fluted glass lantern from Ruddick Garden Gifts is ideal for inside or outside the home. 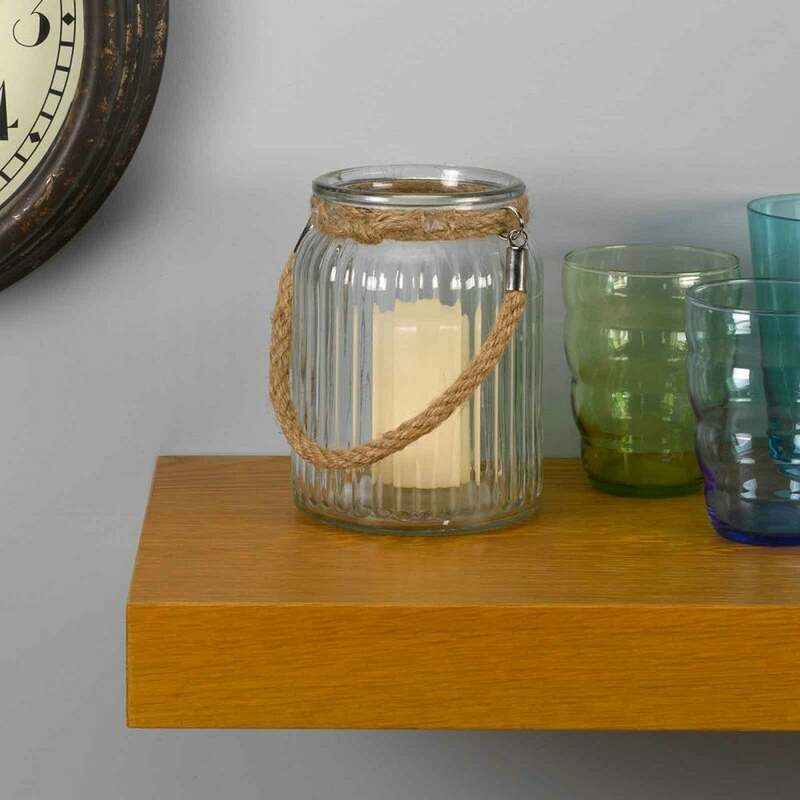 It is made from clear glass and has a rustic jute handle. Suitable for use with tea lights, votives or small pillar candles.